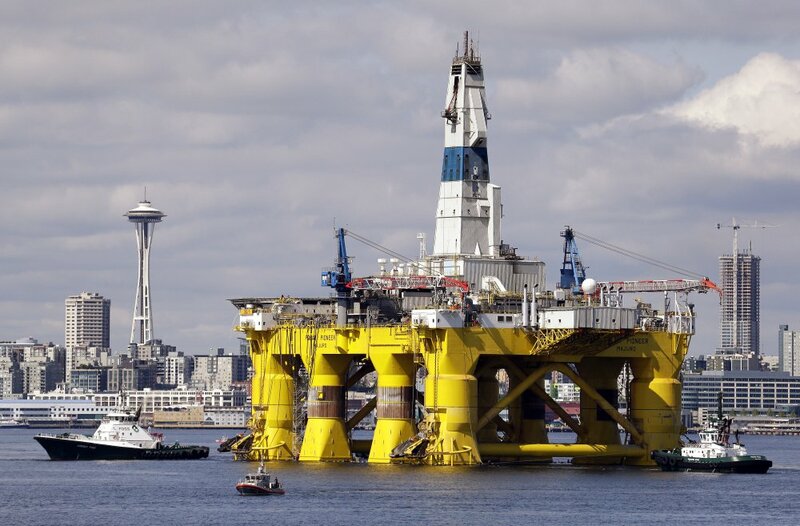 The oil drilling rig Polar Pioneer is towed toward a dock in Elliott Bay in Seattle in May 2015. 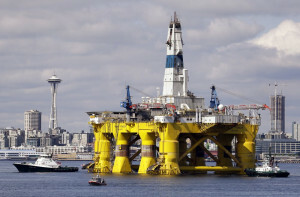 The rig was the first of two drilling rigs Royal Dutch Shell was outfitting for Arctic oil exploration. President Obama ordered wide swaths of the Atlantic and Arctic oceans placed permanently off-limits for oil drilling.